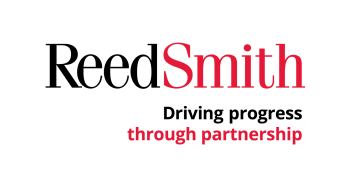 Today, Reed Smith is hosting a client roundtable in London, “Identifying and Mitigating Risk in a Changing Global Economy,” for life sciences clients. In light of that, we thought it would be a good idea to have a blogpost that’s relevant to what’s hot in the UK. Well, there’s nothing hotter on that side of the Pond right now than the increasingly shambollixed up approach to Brexit. One thing we were wondering about, over here, is whether a crash out Brexit would at least get rid of, in the UK at least, a couple of extremely unfavorable decisions from the European Court of Justice that we’d blogged about earlier. We didn’t know, so we asked Simon Greer, a Reed Smith lawyer in our London office if he knew the answer. He did, and below is his response. As always our guest posters deserve all of the credit (and any blame) for their posts. If the prospect of a ‘no-deal’ Brexit on 29 March 2019 is rejected by MPs, they will then be given a vote by 14 March 2019 as to whether the UK should request an extension to the 2 year Article 50 process, thereby delaying the UK’s withdrawal to a date beyond 29 March 2019 (the length of such a delay is, as yet, unknown). So, would a ‘no-deal’ Brexit effectively re-set the clock and eliminate the consequences of CJEU’s decisions in the UK made prior to Brexit? The answer, unfortunately, is: no, so a ‘no deal’ Brexit would not even have this silver lining. Whilst Theresa May on 17 January 2017 stated that: “we will take back control of our laws and bring an end to the jurisdiction of the European Court of Justice in Britain. Leaving the European Union will mean that our laws will be made in Westminster, Edinburgh, Cardiff and Belfast. And those laws will be interpreted by judges not in Luxembourg but in courts across this country. Because we will not have truly left the European Union if we are not in control of our own laws”, that rhetoric was hollow. Her comments were in fact forward looking only, rather than applying to adverse CJEU decisions made prior to Brexit. This is clear from the provisions of the EU (Withdrawal) Act 2018 (“the Act”). (2) Subject to this and subsections (3) to (6), a court or tribunal may have regard to anything done on or after exit day by the European Court, another EU entity or the EU so far as it is relevant to any matter before the court or tribunal. (c) no court or tribunal is bound by any retained domestic case law that it would not otherwise be bound by. (5) In deciding whether to depart from any retained EU case law, the Supreme Court or the High Court of Justiciary must apply the same test as it would apply in deciding whether to depart from its own case law. (6) Subsection (3) does not prevent the validity, meaning or effect of any retained EU law which has been modified on or after exit day from being decided as provided for in that subsection if doing so is consistent with the intention of the modifications. In summary, pharmaceutical companies need to be mindful of the fact that existing CJEU decisions made prior to Brexit, even if it is a ‘no-deal’ Brexit, will be binding on courts in the UK, unless those decisions come before the Supreme Court and are overruled by a new, post-Brexit decision of the Supreme Court, which would then take primacy in the UK over the prior CJEU decision.